Audubon New York, the state’s largest bird conservation organization has teamed up with New York State Office of Parks, Recreation and Historic Preservation to launch the 2014 “Be a Good Egg” campaign: A community engagement initiative to protect threatened and endangered beach-nesting birds. 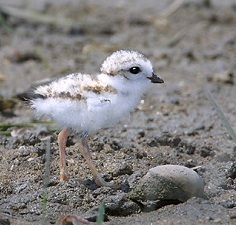 The goal of the Be a Good Egg project is to help people learn more about birds like Least Terns, Piping Plovers, and American Oystercatchers that nest and rest on the beaches of New York and New Jersey every spring and summer. Between April and August every year, thousands of birds nest on the bare sand of New York beaches and inlets, including 30% of the Atlantic Coast Piping Plover population and many other migratory shorebirds that rest and refuel on the New York and New Jersey coastlines on journeys as long as 9,000 miles. These hardy little birds are threatened by predators, extreme weather conditions, and humans. When a person or dog walks through a nesting area, the adults run or fly off in fear. During the nesting season, this exposes the eggs or chicks to fatally high temperatures and drastically increases the risk of predation. The survival and recovery of these species is dependent upon being able to nest and raise their young in an undisturbed environment. 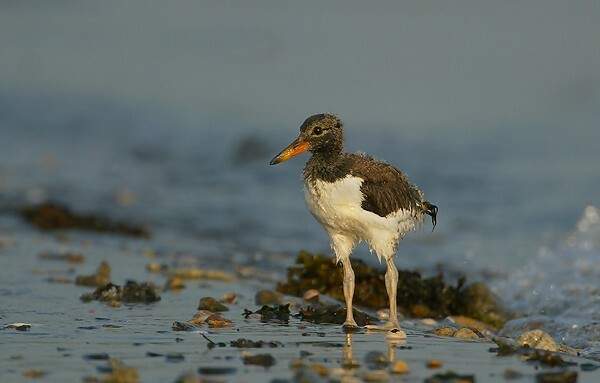 An Oystercatcher chick, photo by New York Audubon. The featured image is a nesting Least Tern. Photo by New York Audubon.